Summer by the River: Yaaba Funk! 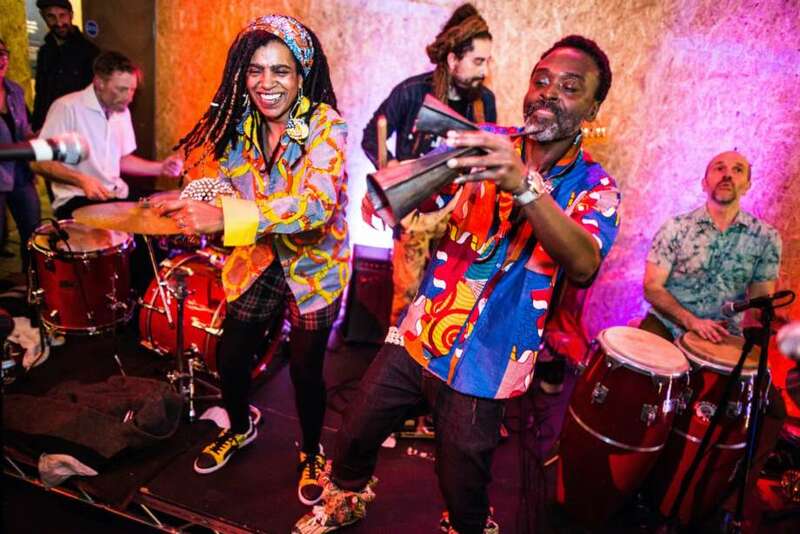 Formed in Brixton in 2006, Yaaba Funk’s sound starts with Hi-Life, the upbeat Ghanaian dance style, and brings in James Brown grooves, Sun Ra jazz, Parliament-Funkadelic jams, and more than a hint of mind-altering dub. On stage, this multiculti crew from Brixton hit audiences like an Afro version of the Specials meet Sly and the Family Stone - regularly joined on stage by some of the UK's finest musicians such as Jason Yarde and Byron Wallen. Yaaba Funk have established a reputation as one of London's finest and hottest live bands. Recent appearances include Womad, Africa Oyé, Liverpool International Music Festival, Sauti Za Busara Festival (Zanzibar), and support for Seun Kuti and Fela's Egypt 80, and Ebo Taylor.